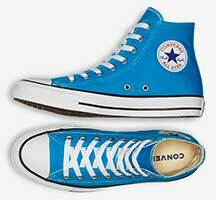 Converse All Star Chuck Taylor shoes are always available in their core color models in high tops and low cut oxfords. 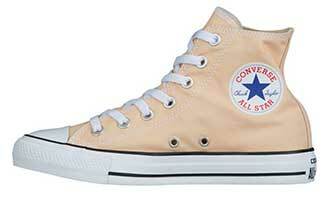 In addition, every year Converse issues many seasonal models and additional colors. 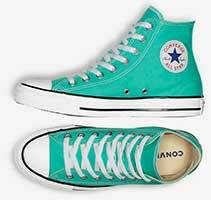 Different Converse companies throughout the world are free to order these seasonal models and modify them with variations of their own. 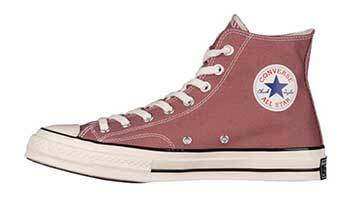 This page will focus on announced seasonal models by Converse USA intended for the American market. While many models and colors are announced, not all are made (if there aren’t enough pre-orders) or are made in limited quantities so they might not be available through our affiliate shoe stores. 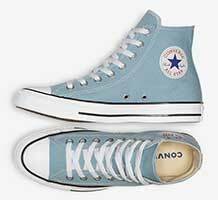 When seasonal models of shoes are actually available for sale depends on the manufacturing and shipping schedule, and how important they are in the overall marketing plan for that year. 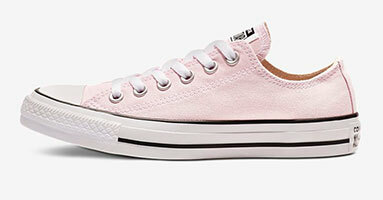 The ChucksConnection recommends that if you see a seasonal model that you want in your size, buy it. You might not get a second chance! 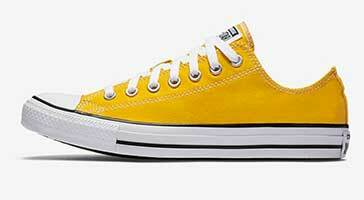 “Add color to your rotation with the new Chuck Taylor All Star Seasonal Colors Collection” is one of the campaign slogans for this year’s Converse All Star Chuck Taylor seasonal models. Below are current colors for Winter—Spring, 2019. 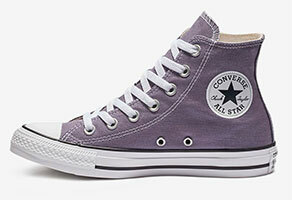 They are described as unisex models and come in half sizes in high top and low top models. 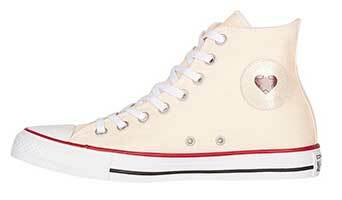 These seasonal Chuck Taylor All Stars are made in unisex models, while others, with different ankle patches are meant for women. 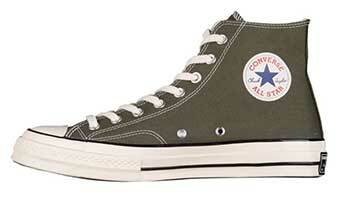 The Chuck 70 models are usually high top only. 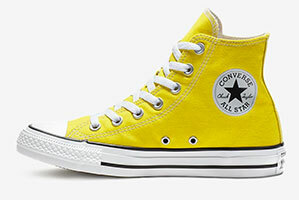 Other Chuck 70 models are available in core colors (not shown here). 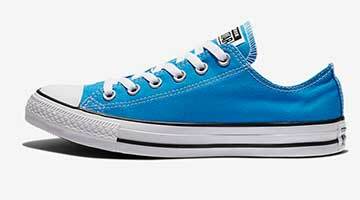 Some closeout colors are not shown because they are available in very limited sizes. 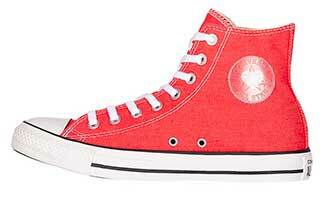 They are available at our affiliates, Eastbay and Famous Footwear, or on the Converse site. Use the links below to order. 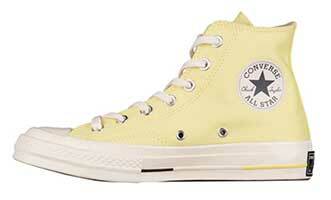 Bold Citron and Moody Purple high tops. Pink Foam and Teal Tint low tops. 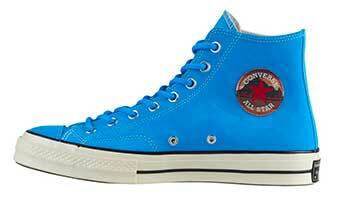 Blue Hero high top and low top oxford. Bordeaux high top and Green low top oxford. 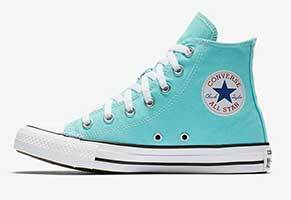 Light Aqua and Teal high tops. Washed Denim high top and low top oxford. 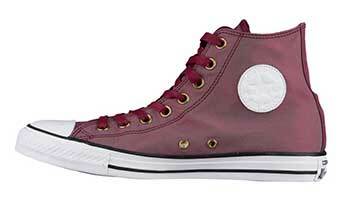 Maroon high top and low top oxford. 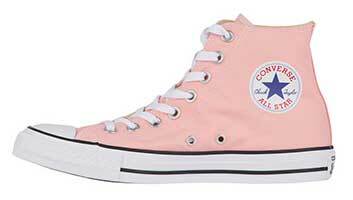 Storm Pink high top and low top oxford. Sedona and Twilight Pulse high tops. Natural/Garnet and Raw Ginger high tops. 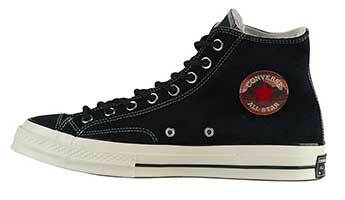 Chuck 70 Black Suede and Blue Hero high tops. 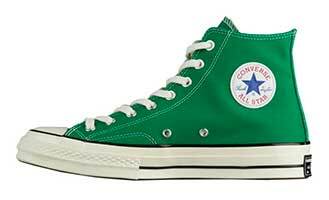 Chuck 70 Green and Herbal/Black high tops. 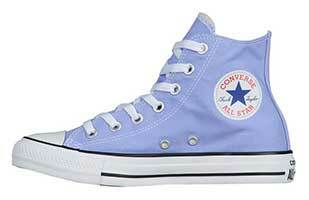 Chuck 70 Icon Violet and Light Zitron high tops. 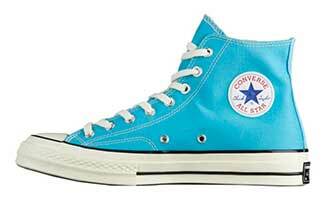 Chuck 70 Saddle and Shoreline Blue high tops. 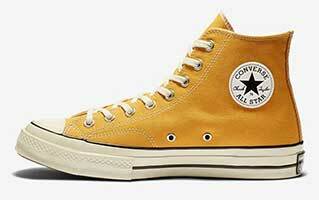 Chuck 70 Yellow high top. 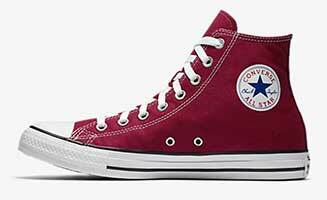 Click on the links to see what models of chucks are currently available for sale in high top, low cut oxfords, or in kid’s sizes. We will post more seasonal models as the information becomes available. 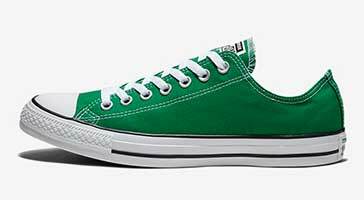 If you have an article, photos, or other information about Chuck Taylors to submit to this website, please contact us at chucksphotos@chucksconnection.com.